I am a huge fan or Del Sol color changing products. Did you know that they are found in major resorts and cruise lines? Del Sol Color Changing Nail polish is the coolest nail polish I have ever used. It actually changes color when exposed to the sun. With the above shown polish, indoors your nails will be the pink color and when exposed to the sun your nails turn a pretty purple. There are other colors to choose from as well. There are even glitter polishes that are fun to wear! These polish are great conversation starters and sure to get attention! How does the polish change colors? Its magic! Not really, but it is the magic of Del Sol's proprietary Spectrachrome® Technology. What is Spectrachrome? It is crystals that reveal their hidden colors when exposed to sunlight. It was actually invented by NASA for their space program. Del Sol enhanced it for everyone under the sun! 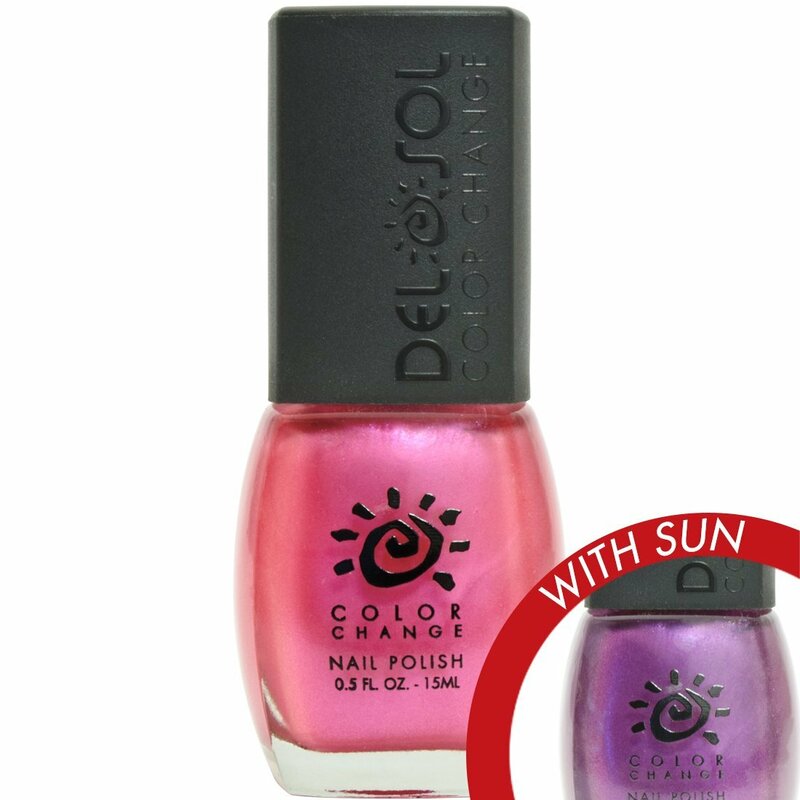 I love all of shades of color changing nail polishes from DelSol. I think that it is perfect for painting my toes and hands for the beach. These polishes are perfect for a nail party or even as a party favor. Girls night in can be so much fun with Del Sol. Check out some of the great color variations available! Many are on sale for $2. Check out all of the promotional offers daily!